ALAN PHELAN TALKS TO MARY CREMIN ABOUT HER NEW ROLE AS DIRECTOR OF VOID, DERRY. Odd as it sounds, there is something slightly Scandinavian about Derry. Maybe it’s post-conflict Northern Ireland and the almost socialist democratic prosperity that peace has brought to the region. Industry may not have taken off just yet, but public services appear to be well-funded. The abundance of cultural centres is also mirrored by a bemusing abundance of hair salons – something that is comparable with Helsinki. Perhaps the harsh northerly climate brings with it serious approaches to both art and hair care. Derry’s various galleries inhabit historic spaces, yet have a very contemporary outlook that draws big names to this small city. I recently visited Mary Cremin, the newly appointed director of Void, to discuss her new role and her future ambitions for the gallery. Alan Phelan: After many years working as an independent curator (and in a variety of administrative positions across the Irish art scene) how different is it to finally be a director? What challenges are you currently facing that really excite or terrify you? Mary Cremin: There is great freedom in being an independent curator, but the downside is the precariousness of funding to realise your projects. As a director there is greater security, which I appreciate. It is also great to have a team to work with on building a vision for the gallery. There is also the excitement and freedom that comes with having a gallery to develop over time. The really big challenge at the moment are the unknowns surrounding Brexit and what impact this will have on arts organisations and the Arts Council of Northern Ireland (ACNI) over the next two to five years and beyond. So, the concerns surrounding precarious funding arise again. I think what is particularly challenging in the arts is that we have to consistently justify what we do and why it is important. Visual literacy in contemporary art is relatively low in Ireland and Northern Ireland; that is why our engagement through education is so integral to the gallery, as this is how we can expand visual literacy in the future. It is also an imperative for helping government understand the benefits of the visual arts within a wider definition of culture. 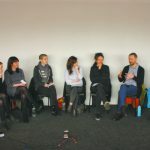 What is both exciting and terrifying at the same time is the responsibility of a gallery team and how to develop and grow an arts organisation that is provocative, relevant and sustainable. AP: You have a large capacity for stress; nothing ever seems to phase you – I have witnessed this firsthand, in the many different jobs you have taken on over the years. Now that you can determine the consensus, call the shots and be in charge, what kind of things do you want to do or change? MC: Void has an excellent reputation both nationally and internationally, so I will build on that with further dynamic collaborations with institutions and galleries. I will expand the off-site programme, as I quite enjoy the complexities of working in the public realm. We are currently working with CCA to develop a public commission on Derry City Walls for the Walker Plinth – the base of a column erected in 1827 that once held a statue, but was destroyed in the 1970s. The site is symbolically important, and it could potentially be a means of activating the walls and creating a more contemporary context for the plinth. We will be working with the artist Liam Crichton through ACNI’s Artists Career Enhancement Programme, which mentors professional artists in 2018. There are new artists studios opening in Derry, so Void will play an active role in supporting them. AP: Void got its name after Orchard Gallery closed and left the city without a signature contemporary art space. Since then, the city has been home to various art spaces, including the Context Gallery (which later became CCA), and has even hosted the Turner Prize in 2013. How do you envisage Void continuing to draw on the city’s rich appetite for contemporary art? MC: I am interested in how galleries like Void can perform on this global stage, while operating in the periphery. Each city is a microcosm reflecting on the larger picture, so, while what we do will continue to be outward-looking, it will reflect back on Derry and Northern Ireland. With Brexit, the question over Northern Ireland’s border remains central to how this exit from the EU will be framed. There is a lot of cross-border activity where Derry is located and so this discussion has a huge impact on how the city can function post-Brexit. 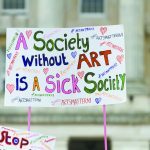 Northern Ireland could potentially no longer have access to the free circulation of artworks throughout Europe, so this will have huge repercussions for Void’s audiences and exhibition programmes. It is an interesting time to be in Northern Ireland and with that comes challenges, but I think Void can contribute to these conversations by occupying a space that is simultaneously local, national and international. AP: Void’s learning programme, ‘Void Engage’, is a well-developed and participatory strategy for the gallery. 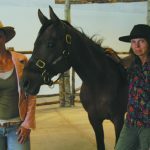 Do you have a feel for how you want to develop it, and do you have any plans for connecting south of the border? MC: ‘Void Engage’ has a very active audience and is really well tied in with exhibitions. It is integral to what we do. In order to expand it, we will have a new programme inviting artists, curators, writers, and critics to give talks. Void previously had an art school, so we would like to reactivate this discursive element, because it is so essential for a vibrant arts community. I have very strong relationships south of the border, so I do plan to connect with different organisations. For example, we will be collaborating next year with the Douglas Hyde Gallery. I intend to develop stronger relationships with the art colleges there too, as I think Derry has really strong visual arts infrastructure and has a lot to offer students. It would be great to have more active conversations between the north and the south. AP: You have a broad knowledge of contemporary art, with a particular passion for video and moving image work. This is evident in your first exhibition at Void, which had a super lineup. Can you discuss what kind of work you want to show in the gallery in the future? MC: I see my first three exhibitions as a trilogy relating to the past, present and future. I was thinking about the complex history of Derry, so that’s how I developed ‘Where History Begins’ (28 October – 16 December). I was thinking about material culture and how that informs our cultural history. 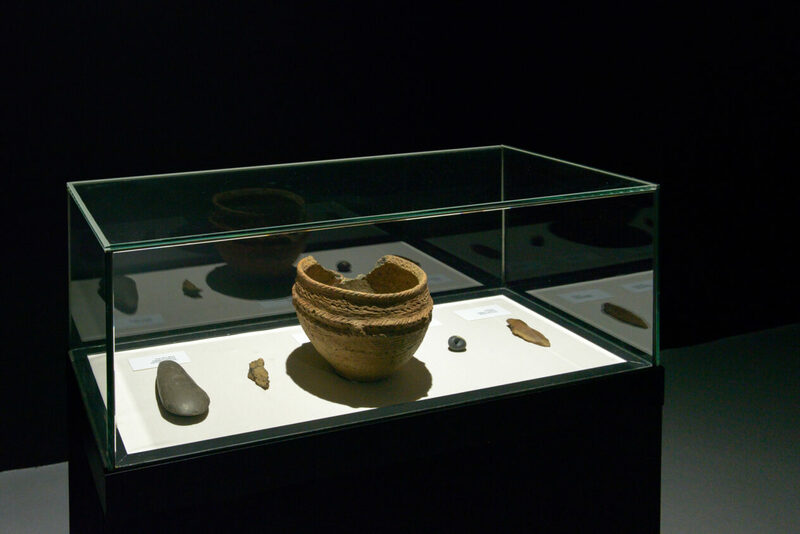 I have borrowed artefacts that span from the Neolithic era to the plantation period, with the aiming of connecting with the topics addressed in the films presented, while also broadening the definitions of what local history can be. I wanted to look at contemporary politics more specifically with the next exhibition, ‘Everyday Words Disappear’ (3 February – 10 March 2018), which will present the work of Belgian artist Johan Grimonprez. His recent film, Blue Orchids (2016), deals with the arms trade and relates back to Raytheon – an arms manufacturer based in Derry that closed in 2010, due to mounting pressure from local protesters. Grimonprez’s work also addresses topical ideas relating to fake news that are so prevalent within the current political global arena. The final exhibition in the trilogy, ‘Between Objects in the Waking World’ (24 March – 12 May 2018) will present the work of Berlin-based Italian artist, Rosa Barba, which is situated between experimental documentary and fictional narrative. The works selected address the corrupted relationship between man and the machine, which for me, really reflects this position of ‘unknowing’ that we currently find ourselves in. 2018 will mark the 50th anniversary of the 1968 civil rights movement in Derry. This historical moment continues to define the contemporary, through its political and cultural imagination. Void will commission a series of new works to explore the role of female activists and workers who were central to that movement, while examining their impact on Derry today. I am interested in how these new artworks can provide fresh readings, opening up new notions of history. What I would really like to achieve is to slow down the exhibition-making process. Having the time to develop exhibitions alongside artists, would allow for more diversions and conversations to develop, while offering greater engagement on all levels. Alan Phelan is an artist who lives and works in Dublin. Mary Cremin is the newly appointed director of Void, Derry. She is also curator of two exhibitions, ‘Then & Now’ and ‘Promised Paradise’, as part of Galway 2020. 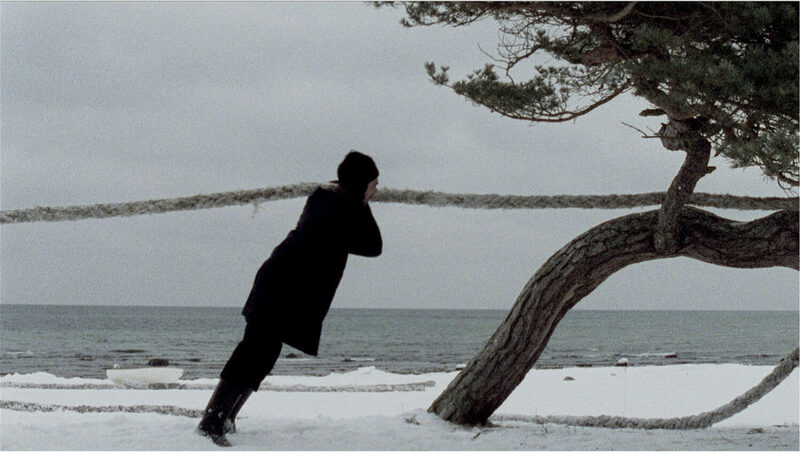 Rosa Barba, Outwardly from Earth’s Center, 2007, 16mm film transferred to digital, color, sound, 22 min; film still © Rosa Barba. Installation view, ‘Where History Begins’, 2017, Void, Derry; image by Paola Bernardelli.